This is a picture of a FPV (first person view) Antenna Bracket we printed for a racing drone we were working on. 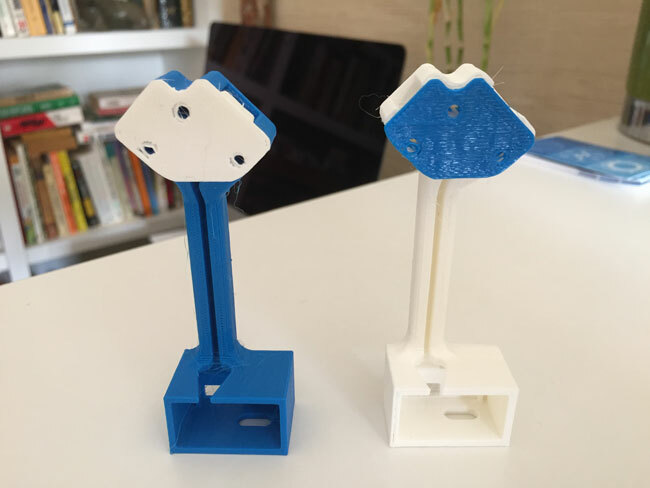 Designing and printing small parts makes it a lot simpler easier to get a prototype together. Quick small part designs and prints also let you experiment with colors before going on to do larger longer prints.